The world of eSports and competitive gaming is one of the most exciting sectors of the entertainment industry which provides enthusiasts with the chance to showcase their super gaming skills while competing with rival teams for the big win. Betting on the outcome of the said competitive matches has been a common practice for players in the gambling industry with some conditions, but ever since the ruling of the US Supreme Court regarding PASPA was publicly announced changes are on their way. The vast eSports market also provides numerous betting opportunities which can benefit both the gaming enthusiasts and betting brands known for their high level of professionalism and fair style of work. Some of the leading betting names such as SkyBet, BetCart, BetVictor, BetFred, 188Bet, and Pinnacle have entered the eSports betting market and are already reaping the fruits of their gaming labor. Thousands of eSports spectators and players put their wager on the outcome of a certain match or on which team is going to win the match. According to estimations regarding the interest towards eSports, there are about 27 million users which enter the League of Legends world every single day. This is a golden opportunity for advertisers to promote their products in a subtle and not-that-subtle way to an enormous number of people located around the world. This month saw the official ruling of SCOTUS which scrapped the outdated Professional and Amateur Sports Protection Act of 1992. As a result of this decision now every state will have the chance to make the decision whether to legalize sports betting across its gambling facilities or to retain its current position. Along with wagering on various kinds of sports gambling enthusiasts will also have the chance to bet on competitive gaming and this has the potential to boost the already popular field immensely. 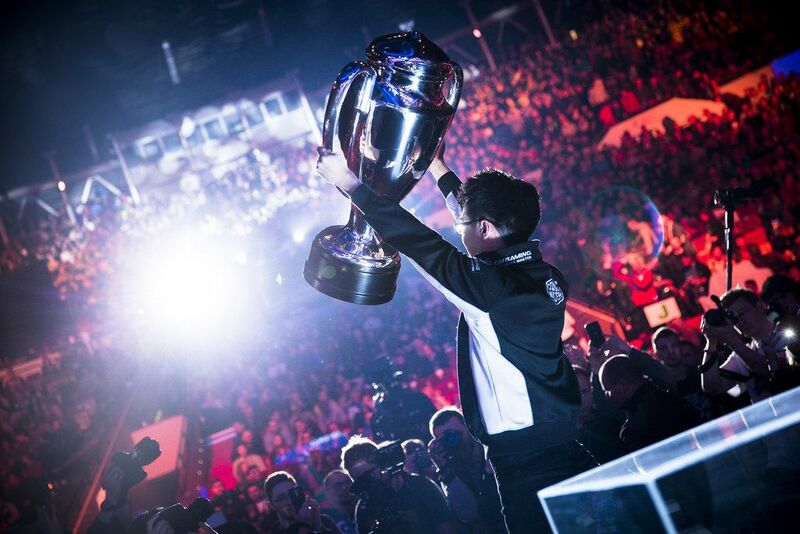 There are many teams already participating in major eSports events which gain quite the attention and video gaming players have been looking forward to this moment for many years now. It remains within the power of the individual states to decide whether or not to give green light to sports betting on video games to the likings of CS:GO, Fortnite, League of Legends, and Dota 2. Analysts in the field state that there might be different regulations applied to eSports in comparison to the framework applicable to NFL, MLB, and NCAA. There is also the remaining question which concerned many people interested in the field in the past months, regarding skin gambling through the platform of Steam. Since the games are available to players as young as 11-year-old parents and individuals acquainted with the practice have been proclaiming that betting on skins for modified guns or knives within the game’s universe should be considered a form of gambling. The upcoming months are expected to witness a fast-paced development in this direction and potentially the legalization of eSports betting in some of the states willing to give it a try along with sports wagering.